-The big difference between 32 bit systems and 64 bit systems is the “Addressable Space”. Each device in the system is assigned an address, which takes some of this space. Because the address space is limited, the more hardware you have, the more space is required to address them. Memory (RAM) will get what is left over, and it is this is what takes usable memory on a 32 bit system from 4Gb of RAM to around 3.25GB. -Most software today is written and optimized for 32 bit architecture. This means that there will not be a large performance increase by switching. However, for the few pure 64 bit programs out (such as 64 bit Photoshop), there can be a substantial difference. -A 32 bit OS can only address 4Gb of memory. Some of this is then allocated to hardware devices, usually dropping the available RAM to 3.25GB or 3.5 GB. -The addressable space also applies to programs, giving a 2Gb limit of RAM to any one process. This means that 32 bit Photoshop can only ever access up to 2Gbs of RAM. - Are always a concern. Drivers for hardware usually have a 32 bit version, and there is usually not a problem with 32 bit drivers (finding or using). -A 64bit OS can address up to 8Tb of RAM (128 on 64 bit Vista, and 192Gb in Seven). -The address space for a 64 bit process is 8Tb. However, a 32 bit process still has the 2Gb limit. So 64 bit Photoshop can access up to 8Tb of RAM, while 32 bit Photoshop (running on a 64 bit OS) will still only be able to access up to 2Gb. -64 bit drivers used to be harder to find. However, since Vista 64bit drivers have become almost as common as 32bit drivers. In order for a to be WHQL-certified by Microsoft, there must be a 32bit and 64bit version of it, which has really helped in producing drivers. I have run a 64bit OS since Vista and have yet to find a program that doesn't work or hardware that doesn't have a 64bit driver. -RAM limit is the only difference: This is obviously the most well-known difference, but is completely false. There are WAY more differences, some of which go way deep into computer architecture, and others that don't make a difference in performance. -Non-compatibility: Some people believe that certain things will not work in 64 bit OS, etc. 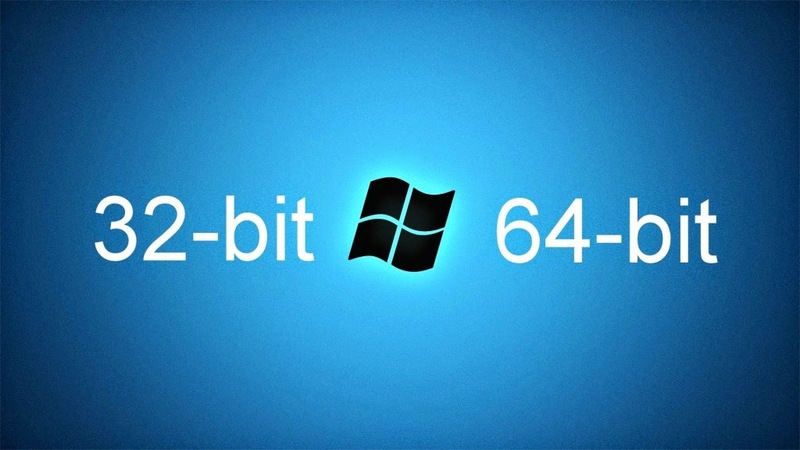 While 32 bit programs and 64 bit programs are NOT COMPATIBLE with the other system (64 bit and 32 bit respectively), Microsoft writes their Operating Systems with a Hybrid architecture (Windows In Windows, or WoW). This means that most 32 bit programs will work on 64 bit systems. -No performance difference: This one is a quirky question. In general, there is not a large performance increase by switching to 64 bit. This is because most programs are still written with 32 bit architecture in mind, and does not need more than 2Gb of RAM. The difference starts to shine when running things like 64 bit Photoshop or CAD programs where LOTS of RAM is used. -32 bit is better for gaming because of compatibility issues with the games or drivers: This one just isn't true. I have run a 64 bit OS exclusively since Vista, and not once have I had a driver or game (except very old) incompatibility. If you are a gamer, a 64 bit OS would be the better choice, especially so you can use more RAM. -64 bit is becoming more and more common. As average RAM in a system increases, there will be no choice BUT a 64 bit system. I usually recommend using a 64 bit operating system for all of its advantages. I have used a 64 bit OS for years now, and have encountered so few problems that I have no real reason to NOT recommend it. However, if you plan on having less than 3Gb of RAM, have an older computer, or a 32 bit processor, I usually recommend a 32 bit system.